Great looking black bear designs pillow. Neck roll for the couch your bedroom. Fabulous looking leather Style fabric combined with Western Fringe and studs. 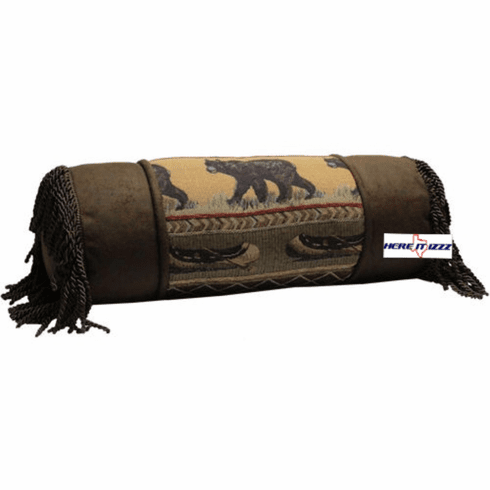 Tapestry Fabric Center our neck roll pillow with fabulous looking black bear along the water.